Circle L Ranch Animal Rescue & Sanctuary in Prescott, Arizona, currently, our ranch is overflowing with animals and is home to horses, dogs, goats plus a varying number of geese, cattle and sheep—almost 300 animals total. For many of them, Circle L Ranch was their last hope as they were rescued from the "kill list" at County facilities or the Humane Society . it's our goal to find caring homes for each of them where they receive the love they deserve. 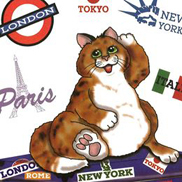 The Hermitage Cat Shelter is supported entirely by donations. We are dedicated to the shelter, protection, and care of homeless cats, especially those that are often not considered adoptable by other organizations. We are both an adoption facility and long-term sanctuary for those felines who are “adoption-challenged.” including felines who have all types of chronic health issues. All of our kitties roam free within 8,000 sq ft of outdoor/indoor living space. 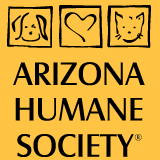 Arizona Humane Societies statewide listings by regions.